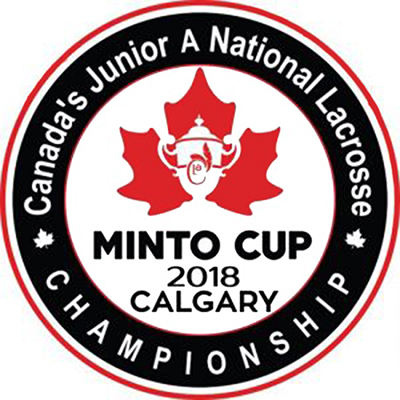 The Minto Cup – the Holy Grail of Canadian Junior A Lacrosse – saw a delay in the series after referees refused to officiate in game two of the 2018 championship series being held in Calgary. The unusual move occurred when the officials disagreed with a league decision to hear an appeal after a coach and player received three game suspensions for abuse of officials. The championship series was played out between the Brampton Excelsiors and the Coquitlam Adanacs at the Max Bell Centre. The Excelsiors are the reigning Ontario Junior A Lacrosse League champions. They defeated the Orangeville Northmen in five games to win the 2018 provincial title back on August 7. The trouble began at the end of game one of the series. With only seconds left on the clock, Brampton coach Dan Teat, and team captain Jeff Teat, were both assessed match penalties for alleged abuse of an official. Jeff Teat is Brampton's leading score with 40 goals and 72 assists heading in the Minto Cup. Apparently both Teats were not happy with the officiating in the game and made it known. The Excelsiors lost the opening game 11-9. The charge of abuse of officials comes with an automatic three game suspension which meant the Brampton squad would lose both their coach and top player. The Excelsiors appealed the decision on Wednesday just 90 minutes before the start of game two of the series. As Minto Cup officials mulled it over, word got back to the referees that the situation had not been fully resolved. As a result, the referees refused to call the game until the situation had been sorted out. No one is saying exactly what was said to cause the match penalty but one Minto Cup rep said that there was a threat made that was “way over the top.” But no one seems to know exactly what was said. The next day a meeting was called between Minto Cup organizers, referees, and representatives from both teams. That meeting ended with a resolution that kept the series going – but with a replacement crew of officials. Game two of the series took place with Coquitlam taking a 2-0 lead with an 8-6 win. The Excelsiors were back in the series in game three with a 12-8 win. The series ended on Saturday, August 25, with a 10-8 over time win for Coquitlam who received the Minto Cup and are now recorded as the 2018 national Junior A champions.